Patios and screened in porches add a high amount of value to any home. They also make for more inviting parties and get-togethers, allowing guests to experience the pleasures of the …read more. Finding a reputable company to help you build an insulated patio in Brisbane can be a real chore. Some companies offer shockingly low rates, but their quality might not be quite up to …read more. Looking for the Best Insulated Patios in Sunshine Coast? 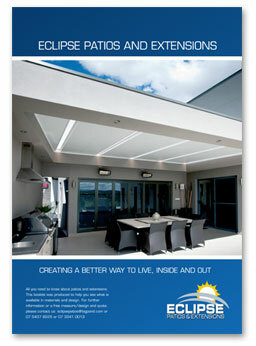 Eclipse Patios and Extensions is Your Company! Insulated patios can be great assets for homeowners. They are great for using year-round, help expand your property’s space, and keep you cool in the summer and warm in the winter. As we head into the …read more. Have You Been Seeking a Patio Builder in the Brisbane North Area? Eclipse Patios and Extensions Can Help! Patios may seem like simple structures, but patio companies understand the high attention to detail that goes into every patio design. Customers like their patios to reflect aspects of their homes or …read more. Finishing construction projects may seem like a job for the summertime, but winter is often the season in which many homeowners find the best rates on building projects. Jobs such as adding patio …read more. Do you think about constructing a patio every summer, but never get around to making the plans to do it? Do you know that adding a patio onto your home can increase your home’s value exponentially? Best of all, it …read more. Building and designing a patio or extension for your home can increase its value significantly. Patios can also make it much easier to enjoy your home with your family, allowing you to host events such as …read more. When you think of patios, your mind might instantly gravitate towards summer, BBQs, parties, and cool, refreshing drinks. However, as Australia heads into winter, you might find building a patio now …read more. 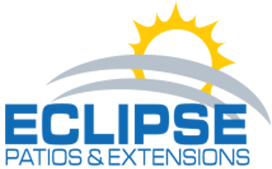 Do You Want to Build Custom Pergolas in Sunshine Coast? Eclipse Patios and Extensions Has Got You Covered. Pergolas are simple arbour garden structures that can add a fun element of style to any backyard. Pergolas can be used as a walkway, shady refuge, or sitting area, depending on their placement in your yard and how they are furnished on the inside. They can also be …read more. Are you jealous of the patios you see every summer? Do you constantly consider planning on building one of your own? Are you looking to potentially increase the value of your property by adding an outdoor expansion? If your backyard is ready for a …read more. There are many types of patio options available, and it can be hard to decide which material to choose. Wood is sturdy and timeless, but often not as durable as metal, and some metals end up rusting or …read more. Many people are unsure which material to select when deciding to add a patio to their property. Each material has its merits, but the decision process can be a bit overwhelming. If you are looking for a …read more. Have you ever given thought to building a patio, but find you never really get around to setting up an appointment or planning out your design? Or, do you already have a patio and think you would like to …read more. If you have an existing patio space but are considering adding roofing or patio awnings in the Brisbane area, you have many options to consider. It can be very easy to get overwhelmed by all of the …read more. When deciding on any outdoor construction project, selection and variety is often very important to buyers. Homeowners want their outdoor structures, such as patios and pergolas, to best reflect their unique styles and …read more.